Shoalwater Bay, south of Perth, Western Australia. 25 May 2011. John Huisman. © John Huisman (j.huisman@murdoch.edu.au). Published in: Sonder, G. (1845). Nova algarum genera et species, quas in itinere ad oras occidentales Novae Hollandiae, collegit L. Priess, Ph. Dr. Botanische Zeitung 3: 49-57. Type locality: Western Australia (Silva, Basson & Moe 1996: 704). Lectotype: MEL 687695 (Womersley 1987: 438). Notes: Ex Herb. Greville (Womersley (1987:438)). Dixon, R.R.M., Matteo, L., Huisman, J.M., Payri, C.E., Bolton, J.J. & Gurgel, F.D. (2014). 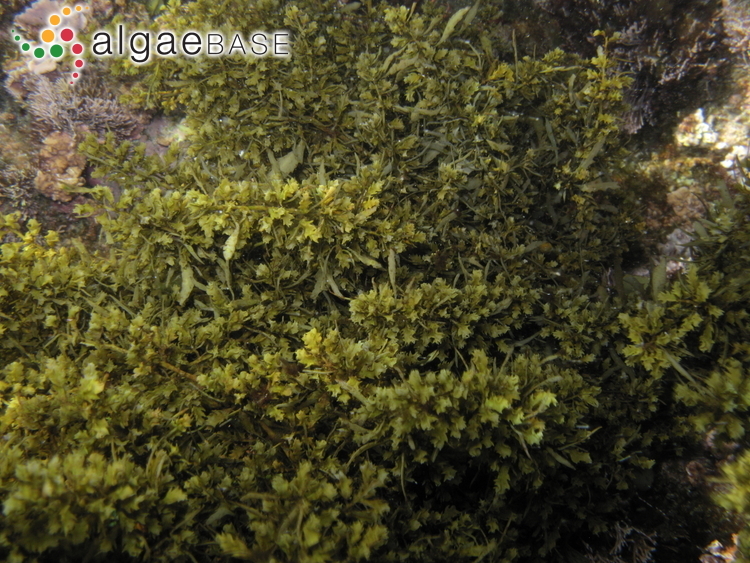 North meets south - Taxonomic and biogeographic implications of a phylogenetic assessment of Sargassum subgenera Arthrophycus and Bactrophycus (Fucales, Phaeophyceae). Phycologia 53(1): 15-22. De Toni, G.B. (1895). Sylloge algarum omnium hucusque cognitarum. Vol. III. Fucoideae. Vol. 3 pp. [i]-xvi, -638. Patavii [Padua]: Sumptibus auctoris. Womersley, H.B.S. (1987). The marine benthic flora of southern Australia. Part II. pp. 481, 169 figs, 1 table, 8 plates, 4 maps. Adelaide: South Australian Government Printing Division. Accesses: This record has been accessed by users 1773 times since it was created.